Shoulder Injuries: Shoulder Arthroscopy for Labral tears, SLAP tears, Rotator Cuff tears and Subacromial Bursitis. 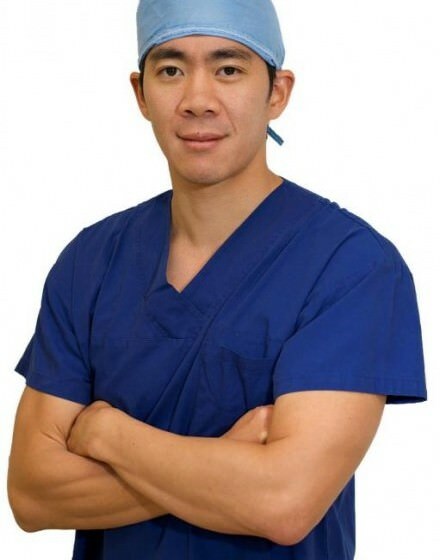 After successfully completing his Advanced Orthopaedic training in Adelaide, Dr Liew dedicated his time refining skills necessary to provide the best options for his patients in Hip, Knee and Shoulder surgery. This has led him to train with World Leading surgeons in France, Switzerland, USA, UK, Austria and here in Australia. His passion is in customising solutions for each patient, where he uses technology such as Intraoperative Xray, and 3D scanning to optimise the results gained from Hip and Knee Replacement Surgery. Through arthroscopy, Dr Liew as found the ability to treat almost all Hip, Knee and Shoulder sports injuries without needing to detach muscle or make larger cuts. His philosophy is one of minimally invasive surgery, choosing to avoid cutting or detaching muscles if at all possible. Dr Liew has regular visitors from around Australia and internationally, who travel to learn from him and collaborate in his quest to improve results.